Katie is a Director/ Producer/ Cinematographer from London. She began working in docs in 2007 as one half of the writing team behind In Prison My Whole Life (Sundance Film Festival, winner of Best Film Prize at Geneva Human Rights Film Festival). After co-producing a handful of social justice focused films in the U.K she moved stateside to co-direct her first feature doc The (Dead Mothers) Club with Carlye. The pair then co-founded Smoke & Apple Films and have recently completed their second feature The Family I Had. Now usually found somewhere between New York and New Orleans, she continues to collaborate with Carlye in development on several new projects. Carlye is a Director/Producer passionate about telling stories that break taboos (talking about death), provide an injustice a platform (extreme sentencing of youth) or gives a voice to the marginalized (a teenage-refugee soccer team (a work-in-progress). 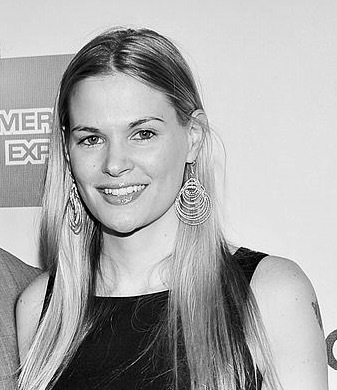 After working in various capacities on documentaries including Capitalism: A Love Story and The Swell Season, she co-founded Smoke & Apple Films with Katie to make her directorial debut with The (Dead Mothers) Club (HBO, 2014) and followed up with The Family I Had (Tribeca Film Festival Premiere, Discovery I.D., 2017). She and Katie are currently working towards completion on No Place For Children/1275 Days (2015, Points North Fellow) and developing several other projects. Tina is an Editor who began her career as an assistant editor on numerous award winning documentaries, including If A Tree Falls (Oscar nomination for Best Feature Doc 2012, winner of the Editing Award 2011 Sundance Film Festival; PBS), Racing Dreams (winner Tribeca Film Festival, PBS), and Good Fortune (News & Documentary Emmy 2011, winner Silverdocs 2010, PBS). Since then she edited and produced HBO Documentary The (Dead Mothers) Club and co-edited The Supreme Price (2014, AFI Docs, Full Frame) and is now collaborating with Smoke & Apple on their second feature, The Family I Had.